Global equities had the worst monthly fall since May 2012 when the euro sovereign debt crisis and Grexit loomed large. The sell-off was sparked by rising bond rates, some disappointing earnings results in the US (more on outlook than numbers) and weaker global economic data. Sentiment worsened in October due to a cocktail of worries over strong USD, further China slow-down, concerns over the Fed’s tightening pace, and the continuation of the U.S.-China trade frictions. Our asset allocation portfolios have been considerably overweight cash, which has reduced, but not eliminated the downside. Is this the start of the major downturn Nucleus have been waiting for? If not, is this a buying opportunity? The short answers are “no” and “a little bit” respectively. Our core view remains that US earnings and the US economy remain strong enough for the cycle to continue – absent a major shock. This does seem to be a garden variety downturn as a stock market that has rallied hard over a number of years pulls back. Actual company earnings have been exceptional in the US, forward earnings expectations have been downgraded, but are still relatively strong. Elsewhere in the world company earnings look weak. Were this early in the economic cycle we would be looking to use this pullback to significantly increase our weights to shares. 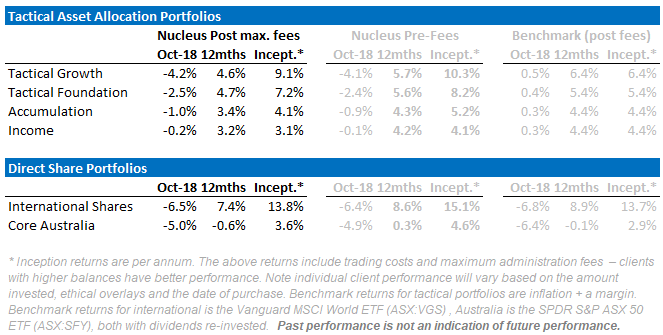 As it is late in the cycle, we have been increasing our weights to equities at the margin to take advantage of lower prices, but maintaining a significant cash and bond holdings. We have significantly increased our bond weights with the view that credit conditions in Australia are worsening and are not reflected in the market outlook. Trade: Chinese trade negotiations have stalled, and the tariffs are affecting Chinese economic growth and some Global corporate results. Slowing economy: Despite strong data in the month the US economy is slowing slightly, and the market is worried that trend will continue in 2019. Rate increases: Investors are uncertain if the Federal Reserve will keep raising rates in a slowing economy, potentially leading to a recession. Many market economists compare today to 1937 where, following the Great Depression, the US central bank raised rates too quickly and the economy fell back into recession. The concern remains the US central bank will make the same mistake. Actual 3rd quarter US earnings season were exceptionally strong, growing at over 20% and mainly beating expectations. Clearly, earnings will slow into 2019 as most of the growth was related to lower tax rates. There were some early signs this quarter may have seen the peak earnings growth for the cycle. Analysts are expecting 10% growth for 2019 and 2020, which might be a little high but with the benefit of share buybacks, some tax effects, and a relatively strong US economy, earnings growth forecasts for 2019 have relatively limited downside in our view. While there was a more conciliatory tone between China and the US in October, we are not expecting any imminent resolution. Absent a sudden change in view from Trump (which is possible but we feel unlikely), comments from key Trump advisors suggest the trade war will continue for the foreseeable future. US Q3 GDP of 3.5% q/q beat estimates driven by strong consumer spending which was the best since late 2014. In Europe the rise in headline inflation from 2.1% in September to 2.2% in October was in line with the consensus forecast and the core the core rate is still low at 1.1%. The German Ifo index (indicating business confidence) still suggests growth, but it is slowing but consistent with healthy annual German GDP growth of over 2%. China did post its slowest quarterly GDP growth since 2009 at 6.5% but this was largely expected. However, looking through a bearish prism many of the data points were interpreted as indicating that global growth has moderated. In the US Bond market, October saw a return of volatility with ‘risk-off’ the dominant sentiment. 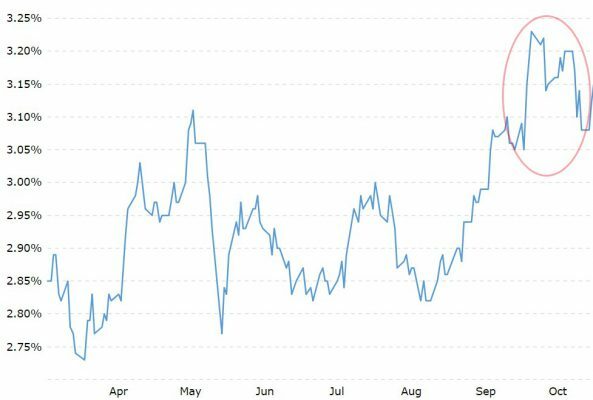 The strong US economic data led to a rise in US Treasury yields as the market contemplated more interest rate hikes from the US Federal Reserve. The sustained breach of the 3% yield level by the 10-year US Treasuries was one of the key catalysts in the October Risk sell-off. Ultimately the 10-year US Treasury yield increased to a high of 3.23%, which is its highest level since 2011, but the resultant volatility across all asset classes saw government bonds benefit, and US Treasury yields falling back to 3.15% by month end. In Europe, bond markets came under pressure early over concerns about the Italian Government’s proposed spending plans and resultant budget deficit but were placated by Italy but retaining its BBB rating. Additionally, for the past 8-10 years, central banks have been pouring money into asset markets. The unwinding of the US central bank balance sheet, plus a tapering in Europe and Japan, along with weaker global economic data proved the tipping point for risk assets. Locally, Australian stocks were caught in the October downdraft. The ASX 50 fell 6.4% (total return), the largest monthly drawdown in over three years. The past two months has seen the ASX 200 give back calendar year-to-date gains to be tracking -0.5% for 2018 calendar year. Banks (-1.3%) and Resources (-1.4%) were the main culprits in dragging our market lower – unsurprisingly the high Beta Technology sector was the worst-performing sector. Once again large caps were preferred over small and mid-cap counterparts. Post the correction Healthcare has seen the largest PE de-rate, from 32x to 26x (since Aug-18 peak). While the the broader market is now trading in line with the long-term average of 14.5x, it remains well above world levels. The US economy is not without blemishes, in particular, the housing market is showing signs of slowing. However, much to the dismay of those who feel that economic growth should reflect the moral fortitude of the sitting US President, economic growth elsewhere has been strong, wage growth picking up and inflation contained. While there are valid question marks about the long-term sustainability of government deficit spending, this is not a near-term economic issue. Rising rates might affect US growth, but in our view, it is far too early to draw that conclusion from the limited increase in rates and their low levels. The key indicator is growth in credit, and credit continues to slow. Our view is that the Chinese economy will slow quite markedly on the manufacturing and industrial side, which will be offset by increasing spending on debt and infrastructure. It is likely that the Chinese economy will slow further before the government stimulus kicks in, and that may not be enough to halt the slowdown completely but neither will growth fall off a cliff. We are mildly positive the bulk commodities (iron ore and coal) given the infrastructure and property spend that is likely, but less positive industrial metals which will be hit more by slowing demand. 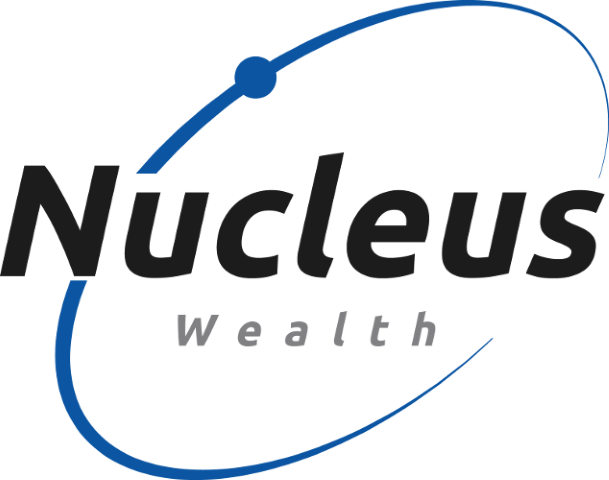 We remain underweight shares in aggregate, marginally overweight international shares and significantly underweight Australian shares. We have added considerably to our bond holdings in recent weeks. As with other portfolios, we increased our bond weights considerably. Red October saw our technology outperformers become the underperformers as the correction was in full swing. Unsurprisingly performers were the more defensive Food (Tyson,Smucker) and Drug companies (Merck, J&J). Only one-sixth of our companies saw gains over the month. Domestically the detractors were a mixed bag of Banks, Airlines and even a health care provider. Performers came from more defensive food, retail, hospital providers and a REIT. Our portfolios to date have been taking less risk and in most cases out-performing benchmarks. The disclaimer is that they have only been running for 15 months, and that is not enough time to make definitive judgements. The table at the top shows performance for a client paying the maximum administration fee. We have not added in any benefit for franking credits or for withholding tax credits. We retain relatively large cash and bond balances to hedge against volatility and to look for a cheaper entry point. If markets continue to be weak then we will look to buy more international equities. We are concerned about the potential for trade wars or an emerging markets crisis. These will be a key focus for us over the next few months. Recent months have been a reminder for investors about the benefit of positioning and of taking profits when markets rise. Markets are still clearly not without risk. We spent July and August winding back equity positions, but have been using recent market weakness to begin building positions again in the “risky” half of the portfolio while in the “defensive” half of our portfolio we have been adding more to our bond holdings to (1) add more protection to our portfolio and (2) take advantage of what we feel is a major mispricing of Australian interest rate risks. Over the longer term we have concerns for equity markets, but the recent market pullback is premature (for international stocks) and there are still a range of economic outcomes which could see international markets continue to grind higher.